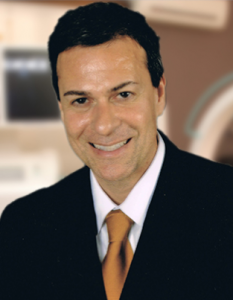 Dr. William Cimikoski was born and raised in Fairfield County, CT, in the suburbs of Manhattan. As a youth, he excelled in several contact sports, including hockey, lacrosse, and soccer. By the time he was 17-years-old he had suffered frequent sports related knee injuries (on both knees) and underwent numerous surgeries, ultimately culminating in major reconstructive knee surgery during his senior year in high school. This essentially ended his participation in competitive contact sports and he started to pursue his other passions in non-contact sports, including skiing and windsurfing. This is what brought him to the beautiful mountains of Utah where he could delight to his heart’s content in the plentiful powdery snow. Dr. Cimikoski received his medical training at Brown University, where he did his Internship, followed by his Emergency Medicine Residency at the Medical College of Georgia and Albany Medical Center. He also completed a critical care fellowship in Medical Toxicology at Penn State University. To indulge his other vice of windsurfing, he took a several year hiatus from the rat race and rigors of Emergency Medicine to work as a Ship’s Physician for Carnival Cruise Lines. While working for Carnival in 2004, he met his beautiful wife, Sarah (from Brazil), and they decided to settle in Utah in 2009 to start a family. They have two young boys, William the third (“Trip”), aged two and Tommy, aged 11 months. Sarah’s expecting with their third (and final) child, a baby girl they’ll name Marie, who is due to arrive in early February. Dr. Cimikoski is keenly aware of the perils associated with osteoarthritis and orthopedic injuries, due to his own experiences and interest related to these debilitating processes. He is an exceptionally accomplished fitness and nutrition expert. This, coupled with his Medical Toxicology background, makes him uniquely qualified to provide the very best health care, and optimize his patients’ potential through the use of Bioidentical Hormones, Stem Cell Prolotherapy, and Medical Weight Loss Management. He is pleased and eager to offer these cutting edge services with Action Health Centers.